When you are looking to make money through Forex, looking for a reliable and credible Forex broker is important. Your trading performance will suffer if you choose a low quality trading platform with poor functions. New avatrade look – Avatrade : avatrade made new website and create new brand. You can read more at Avatrade Review – new face of avatrade forex broker. avatrade was established in 2006; In this short amount of time, avatrade has gained huge popularity among traders, and now it is becoming a major online trading platform and a serious contender. With 24 hour online customer support, they have a team on standby ready to help you trade with confidence.You can read more about Avatrade at forex.in.rs website. • Expert advisor through the MT4 trading platform. • Spread is highly competitive. • Leverage ratio is very high. • AvaAutoTrader can be used for automatic trade transactions. • The platform is regulated by a highly credible Institute so is trustworthy. • It has won awards for both “Best Trade Execution” and “Best Trading Platform”. • Scalping and hedging are allowed. • Zulutrade and mirror trading are also offered, where experts trade for you. • Arguably, the spread should be converted from 3 pips to 2 pips. 1. Forex Robot: The avatrade platform supports MetaTrader and Forex Robot. This gives them a competitive edge as few platforms have this option. Other strategies allowed are scalping, hedging, and trailing stop. One can also go for Islamic account. 2. Leverage: The maximum leverage that is being offered is 200:1. This simply means that if you invest $100 initially, it will give you 100 x 200=20,000 units. The leverage is set higher for the MT4 account, which offers 400:1. 3. Commission: Another great thing about this platform is that it doesn’t charge any commission. They earn through the excess from the small variations created between ask and bid price. 4. Support: Trading is available 24 hours a day, customer support is available throughout , and you can get any sort of help or advice. Chat and phone support is available in many various languages. 5. Withdrawal and Deposit: Withdrawal and deposit is fast and easy using either credit card, PayPal, Moneybookers, or bank transfer. For deposits, the initial amount required is $100. On this initial amount, you can win a bonus of up to $50. The bonus offered increases if you initially deposit a higher amount. 6. Spread: The minimum spread offered is 3 pips. 7. Trading platform: avatrade offers the world’s best trading platform; Meta Trader 4, that offers both normal and robotic trading options. If you can’t be near your PC or laptop all the time, avatrade has a mobile version for smartphones which allows you to use this platform while on the go. Scalping and hedging is allowed on both platforms. They also provide risk management techniques through which a trader can control their potential losses. 8. Demo account: There is a Demo Account option available, which allows you to trade with up to $100,000 demo currency, to get some practice and familiarise yourself at no risk. 9. Security: The avatrade platform is very secure as it uses a 256-bit SSL encryption system. For added protection, the platform includes a McAfee antivirus scanner. 10. Official Broker: These days, there are many Forex brokers that are running without permission and licensing. avatrade is a registered and fully licensed trading platform so you can trade with confidence. 11. Commodities and Currencies: The avatrade platform offers trading in 6 indices, 49 currency pairs, and over 12 commodities. Even if you never trade over such a diverse range, it is reassuring to know you have many options. 12. One downside is that the platform doesn’t accept traders who are resident in the U.S. or Japan. If you are resident in one of these countries, there are many other platforms where you will be welcome, reviews of which you can find on our website. With a wide range of services and features, avatrade is one of the best trading platforms available worldwide. It aims to make you money through Forex. AvaJava is the exclusive webtrader platform as offered by AvaTrade. It is quite simple. But when you are comparing this broker with other platforms like eToro or Plus500, you will be little disappointed. While AvaTrade adds up everything, other two platforms take everything within their platforms. AvaTrade mainly focuses on their platform based on Metatrader. Metatrader is good bargain as it is extremely popular and well recognized trading platform fully packed with multiple advantages. Many experienced professional traders also prefer to use this particular platform. They can’t even think about using any other platform other than this. For mobile trading, AvaTrade offers Metatader and AvaJava as Android and iPhone support. Metatrader 4 platform is available for Blackberry, Windows and other Symbian phones. 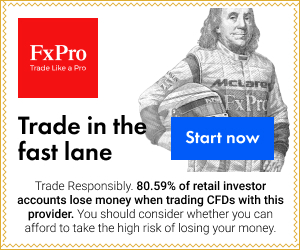 Trade signals and news updates as offered by this broker differentiates it from the others as these are sent to the inboxes of the mobile phones as push notifications. AvaTrade, like any other broker, also have their accounts classified into VIP, Platinum, Gold and Silver categories. Your first deposition amount decides the category of your account. If your minimum deposit amounts to $100 you are assigned with a silver account along with $50 bonus. This is extremely good as compared with the other brokers operating in the Forex background. If you are willing to receive decent amount from minimum deposit then you must surely opt for this. With the deposit capital of $1000 you are assigned as gold trader. You will also receive a bonus of $150. Platinum traders receive a bonus of 10% on depositing more than $ 10,000. As a Forex trader, deposit and withdrawal methods are very important. Devoid of the depositing amount it is impossible to begin your trade functions. Again without the withdrawal facility it is difficult to earn profits from the earnings. Fortunately, AvaTrade offers a broader selection of deposit schemes like Credit Cards (Visa and Mastercard), Neteller, Skrill (Moneybookers), transfer of wires, Webmoney and Paypal. You can see the deposits made by Paypal clients.